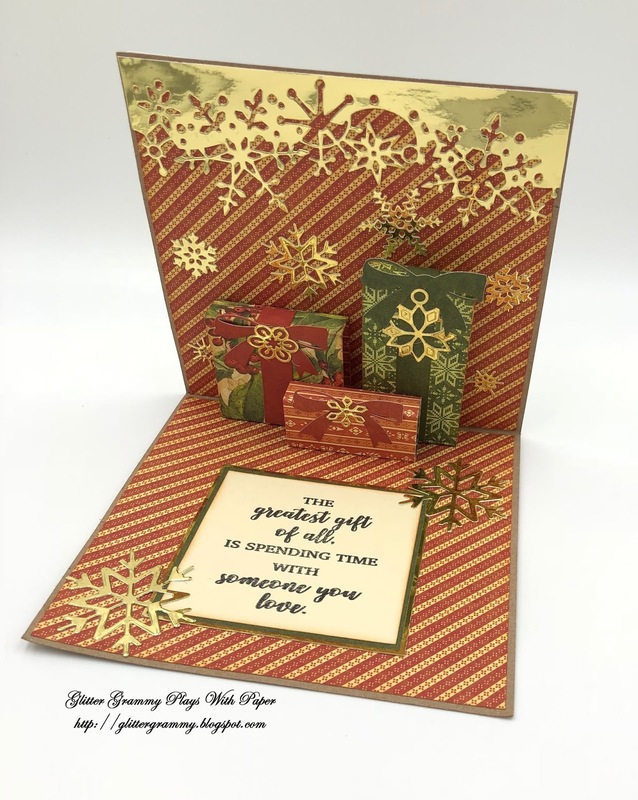 In October I saw a card on the Graphic45 Blog, showing the winner of the September project of the month. The winner was Karien van der Westhuizen. I love her card and thought I'd give it a try. Here is the link if you'd like to see Karien's card. 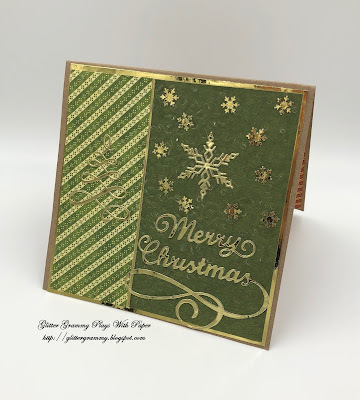 - Graphic45 Blog on to my version of Karien's card. 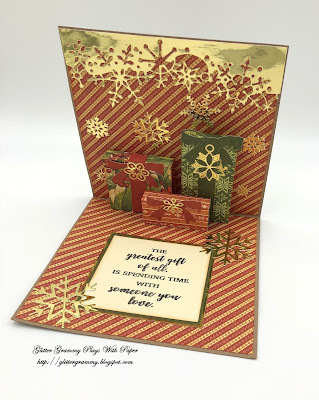 I used Graphic45 card stock - Winter Wonderland collection. The dies I uses are from Impression Obsession DIE100-F, and DIE106-S. I also used Poppystamps dies 1648, 1967, and 1050. The sentiment is Penny Black 30508. The base of my card is craft and I used gold mirror card stock for frames and cutting the dies. This card is being shared on the Sparkles Christmas Challenge. I hope you have a minute or two to check out what the other members of the design team have created. And I hope you have time to post your lovely creation. We all enjoy seeing what you've created. Have a look here. Can you believe our next cards will be posted in 2019? Wow! Happy Crafting....see you soon. Hugs from my world to yours. And if I don't get back before the holidays - HAPPY HOLIDAYS!